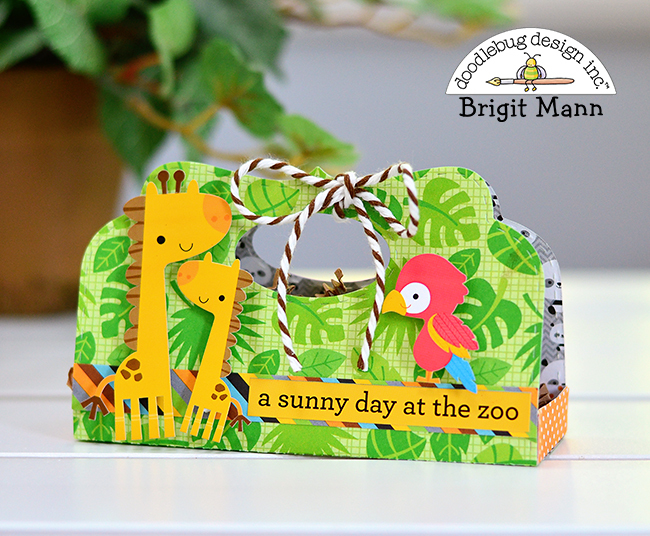 Hello Doodlebug Fans, it's Brigit here today, sharing a couple of candy caddies I made for this off the page challenge. For those that don't know an off the page project can be anything but a traditional scrapbook page. 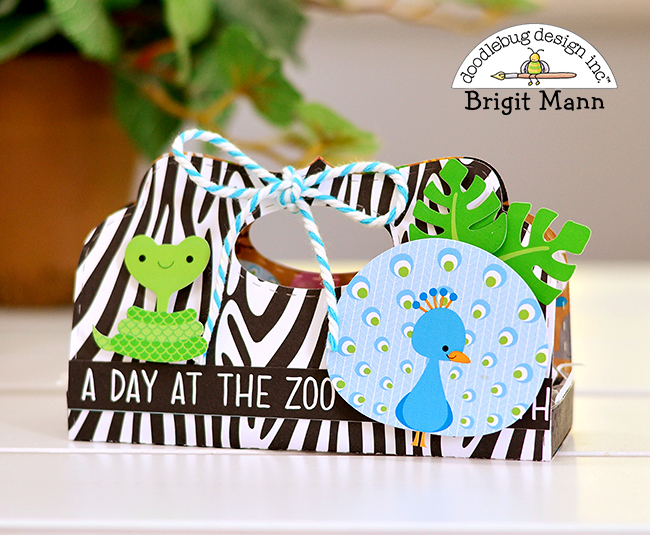 These treat holders are great for a child's birthday party and the At The Zoo collection makes them that much more special! 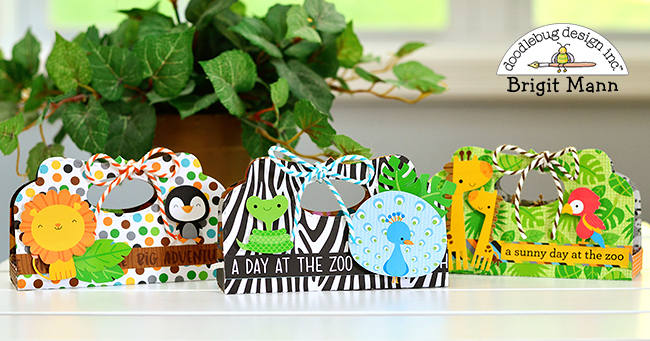 I used a die from Jaded Blossom to cut out the three caddies from the zippity zoo dots, zoo friends and roly poly pandas paper. To decorate I used borders from the safari plaid sheet and stickers from the icon sheet 1 and icon sheet 2. On this one, I used tangerine chunky twine. This has swimming pool chunky twine. And the last I used bon bon chunky twine. 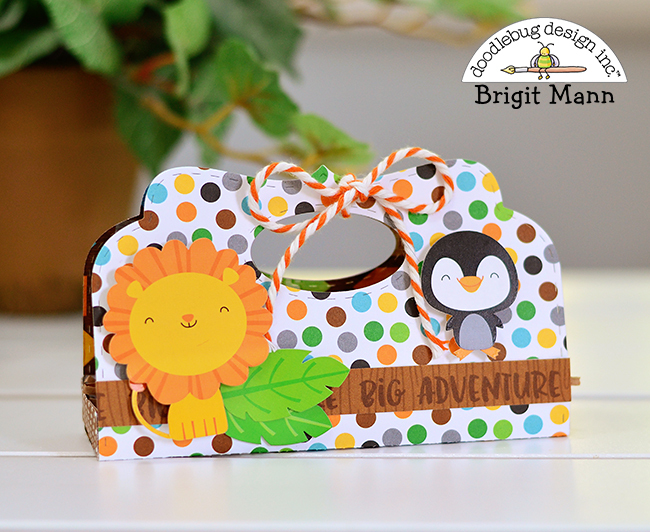 For the inside box that holds the candy I used paper from the rainbow swiss dots petite prints pack. I hope you've enjoyed these candy caddies, thanks for stopping by and have a wonderful day! Love them ! Sooo stinkin cute !!! Oh my goodness Brigit! These are incredible!! !